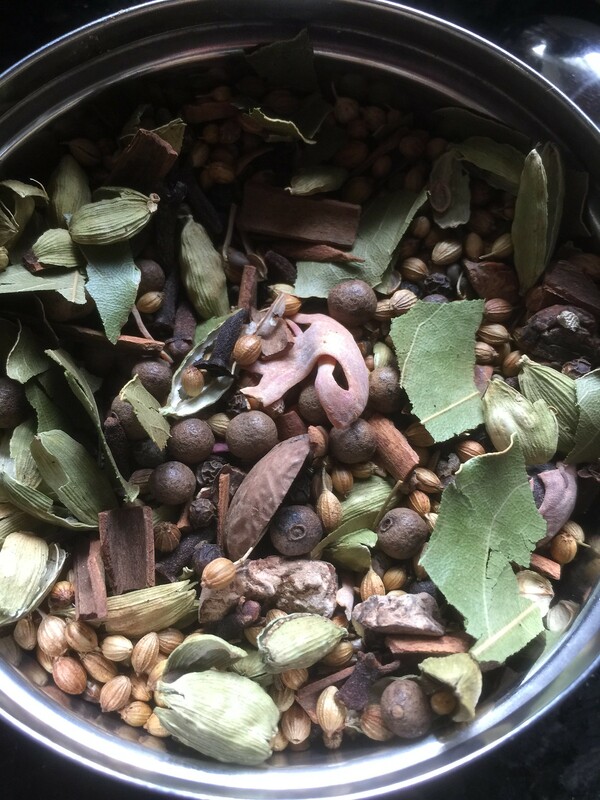 I ran out of my Ras El Hanout mixture (which I always make myself, using very peculiar spices from my overflowing spice rack). You can see some of them in the images below (how many of them can you guess?). 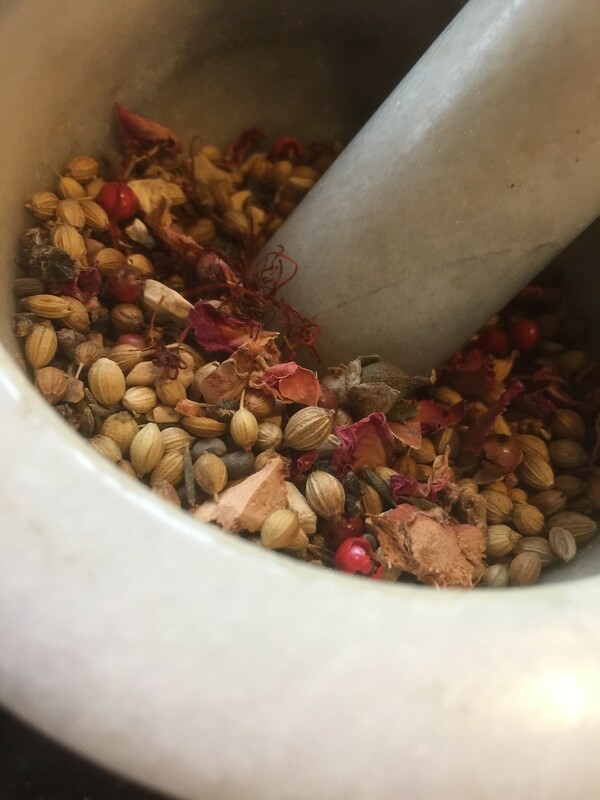 Most of the grinding is done the old fashioned way using mortar and pestle, as it should be. 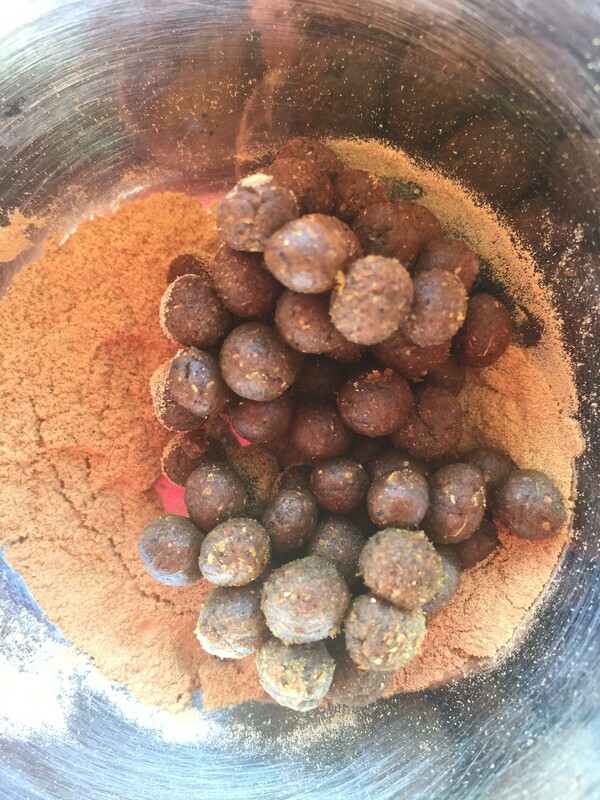 I believe it is a more direct connection to the material because this way I can smell them as I crrrrrrrush them! Whatever I'm unable to grind fine enough, I will pass on to the electric grinder. 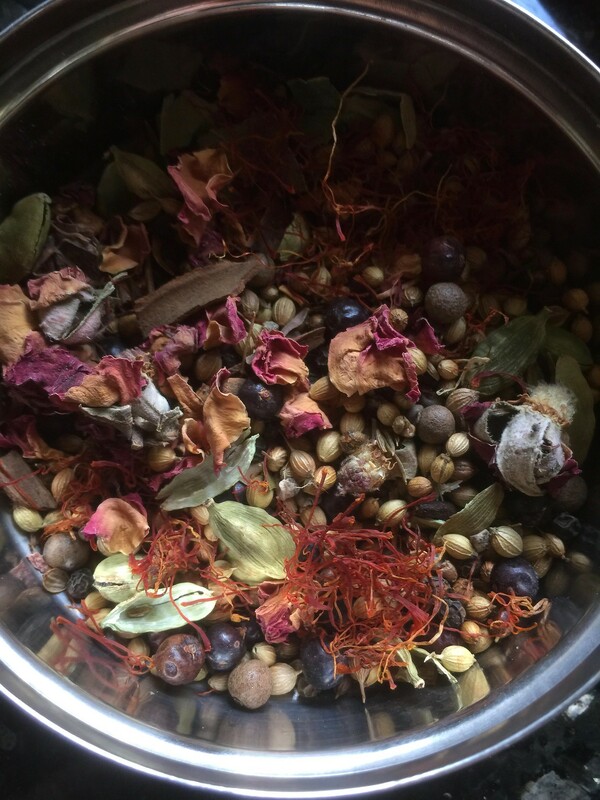 I kept most of it for my cooking (nothing beats a homemade couscous topped with a homemade couscous stew spiced with my very own Ras El Hanout!). But some I just felt compelled to burn as incense. My first idea was making it into nerikoh (kneaded incense, which is not actually burnt but placed on a hot micah plate). 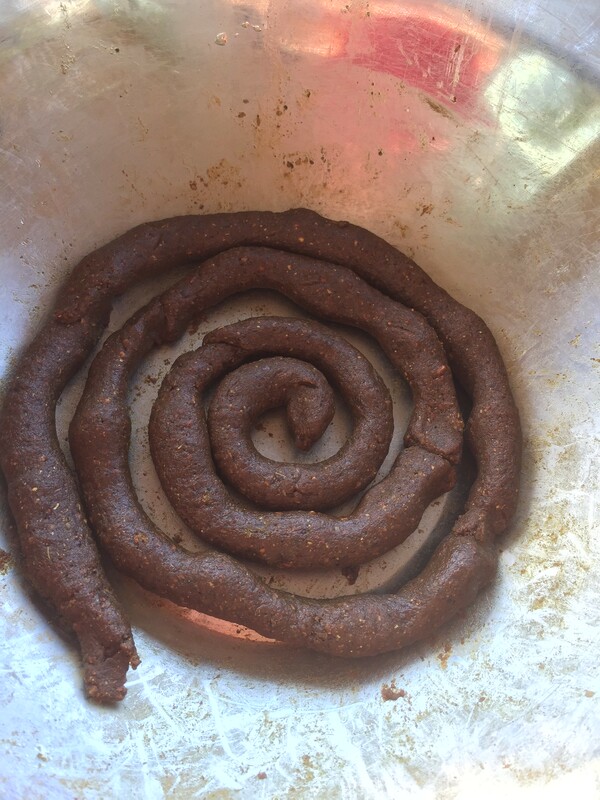 Nerikoh traditionally uses honey or plum paste. For this experiment I used a combination of dates and honey. I named these Oasis Nerikoh. 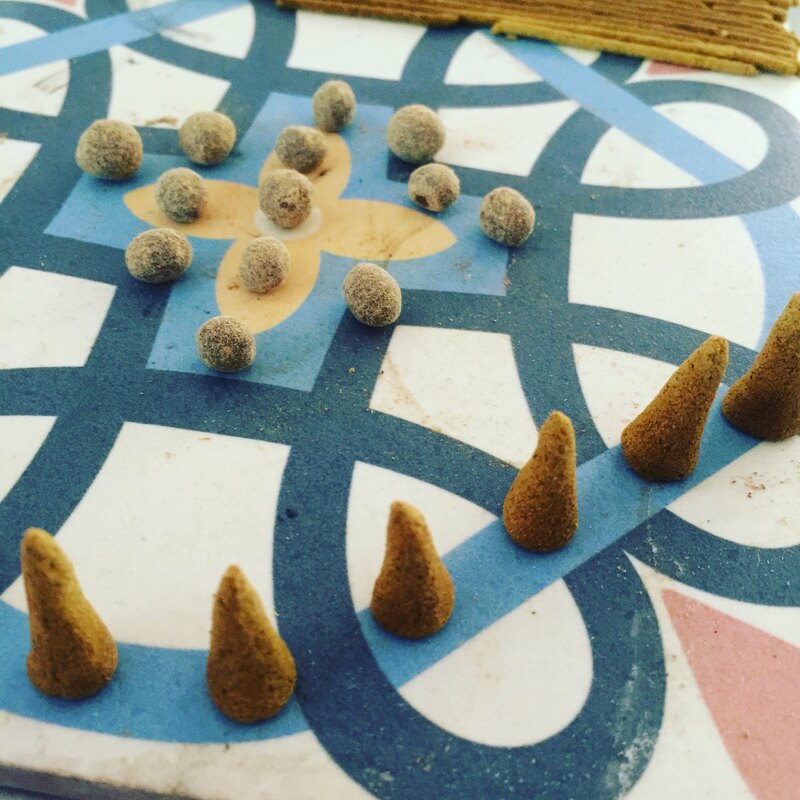 In the picture you are seeing the incense dough shaped as a spiral, and waiting to be hand-rolled into tiny balls. 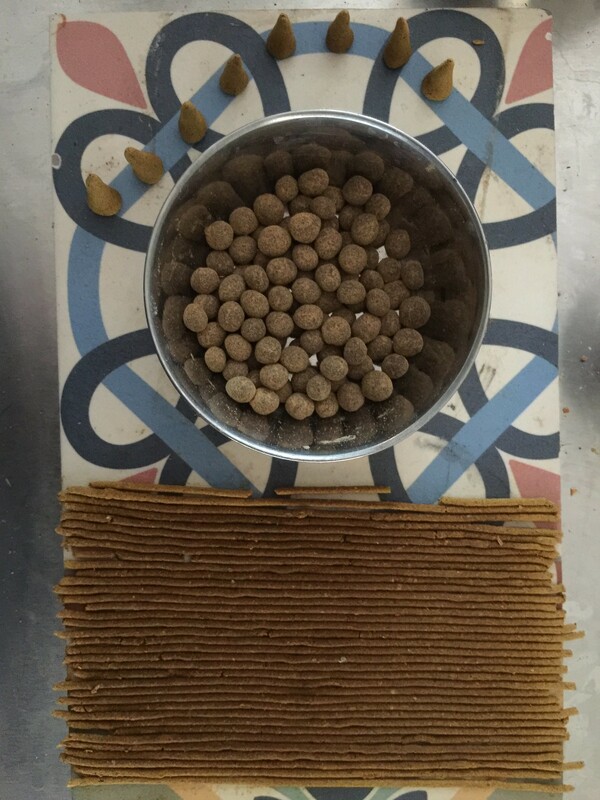 Ras El Hanout Nerikoh (kneaded incense balls), rolled into a mixture of ras el hanout and sandalwood powder. 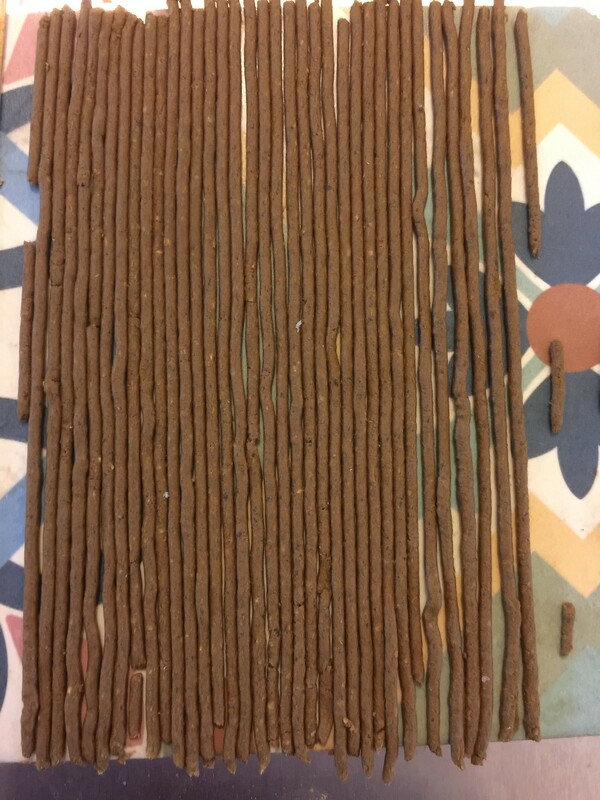 My second attempt at making incense sticks! Practice will eventually make perfect I hope. 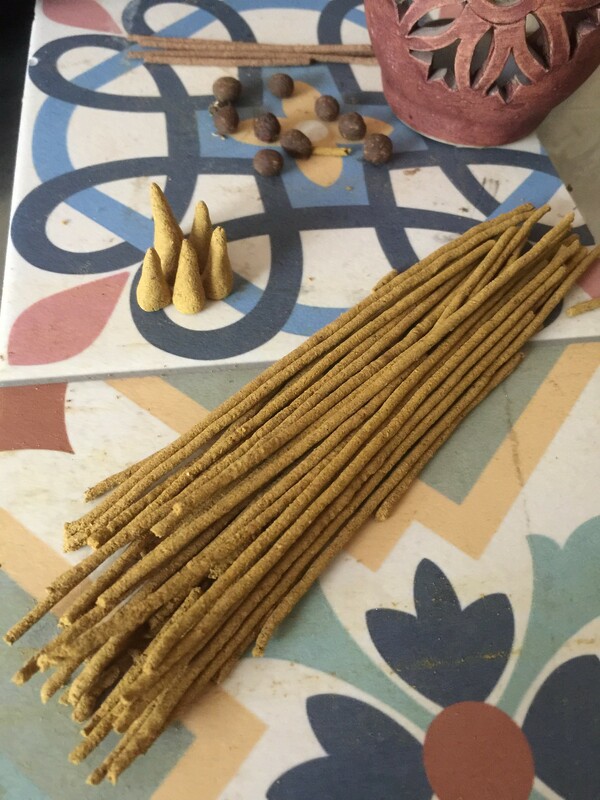 The whole line up, from top to bottom: Ras El Hanout Incense cones, norikoh, incense sticks. Here they are, all dried up and ready to use! The ornamental brown ceramic dish in the background is my aromatherapy diffuser, which I use to heat up nerikoh.